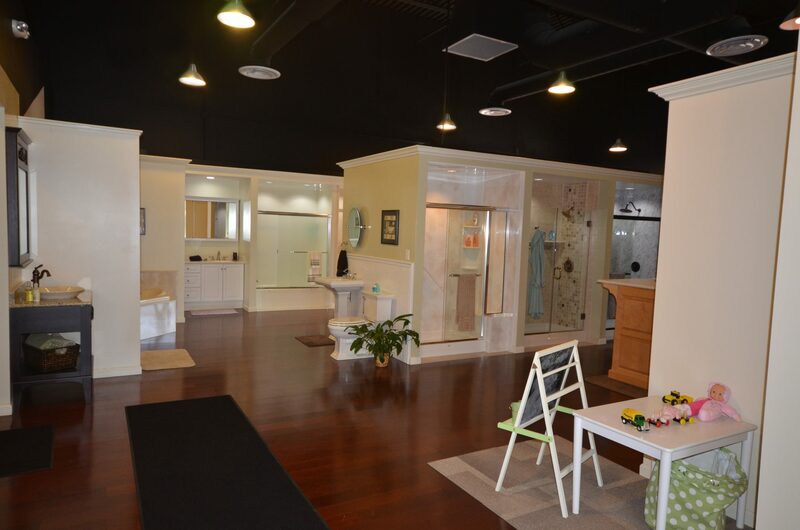 If you’re a regular visitor to our website and an avid reader of our blog, you’ll notice one aspect we like to highlight here at Columbus Bath Design by Luxury Bath of Columbus, OH is our showroom. This area is the pride and joy of our business. It’s here that we get to show you, our loyal customers and our potential customers, exactly what we have to offer to meet your bathroom remodeling needs. Think about it – if you’re in the market for a new car, do you watch a commercial or check out a picture in a magazine and immediately place an order? Of course not! You head into the showroom, take a look at the cars, kick the tires, take a seat and go for a test drive. Why should the place where you spend every morning or evening be any different? You want to test drive our products and our showroom is the place. So, without further ado…it’s showtime! Right from the start, you’ll notice a vast array of options for your bathroom remodel. We know that remodeling can be an overwhelming experience, especially if you’ve never done it before. That’s why we have a team of experts on site to answer any questions you might have. They’re here to spend any amount of time you need in order to make sure you get the right products at the right price. You see, with all of these options for materials, colors, styles and accessories, we can help design your bathroom to fit your budget. You might even discover something you never thought possible. 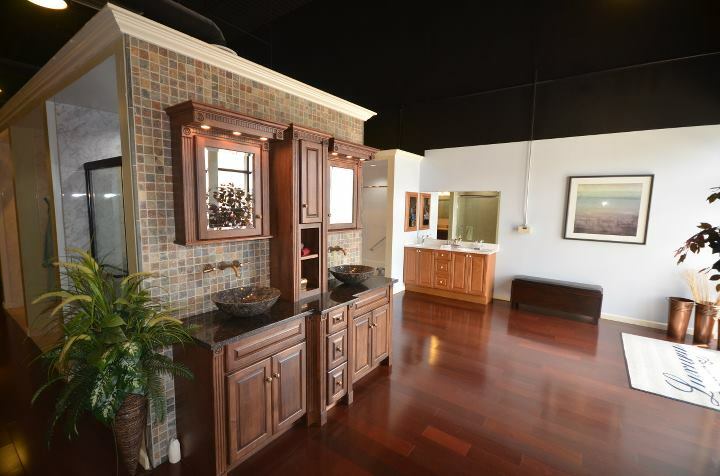 With our expansive showroom, your imagination can be fueled by what’s around the next corner. We also know that making these decisions will take some time. That’s why we want you to be comfortable while you’re here. Relax and enjoy your stay. We have beverages available and we even have a play area for your kids, so be sure to bring them along. Hey, it’s their new bathroom too! You can read up on our complete line of acrylic and Onyx products, but it’s so much better when you can see and feel them up close. Only then can you tell which approach is best for your remodeling project. You’ll also get a chance to preview our entire array of products. Vanities, floors, commodes, cabinets, accessories, showers, shower-to-tub conversions, walk-in tubs, whirlpool tubs, soaker tubs…they’re all here. And time would fail us if we discussed the variety of colors and patterns available. You simply have to see it all to believe it all. Of course, while you’re reading this online, you can take a quick virtual tour right here on our website and you can even watch a quick video which features some of our products. But it’s one thing to see a two-dimensional image…and it’s quite another to immerse yourself in a world of remodeling options. You’ll want to feel the textures, see the colors and patterns, walk into a walk-in tub, step into a shower, sit on a shower bench…test drive what we have to offer. That’s why we recommend you take a little time and visit us in person. Our showroom is open Monday through Friday, 9am to 5pm. Stop by and let us take you on a tour so you can discover your beautiful brand new bathroom.